H.J. 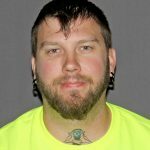 Martin and Son, led by flooring installers Donovan Morris and Andy Jurczowski, was the first-place winner in the fifth annual SCHÖNOX Man vs. Floor Worst Subfloor Contest. The announcement was made January 24 at the International Surfaces event, held in Las Vegas. The highest number of entries – 132 – were received in the history of the contest, with 93 different installer companies submitting. The H.J. Martin and Son installation team emerged as the top entry of this crowded field for its work on the historic Hotel Northland in downtown Green Bay, Wis.
companies charged with making a damaged subfloor smooth and sound to show the tough subfloor conditions they encountered and how they renovated them using SCHÖNOX products. 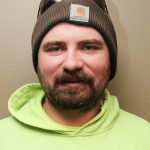 Winners are based on the severity of the original subfloor’s condition, the skill and attention to detail taken in executing the project, and the quality of the finished subfloor. The Hotel Northland is a restored 1920s-era hotel. Work to return the structure to an operating hotel, a $40 million-plus project, began in 2016. 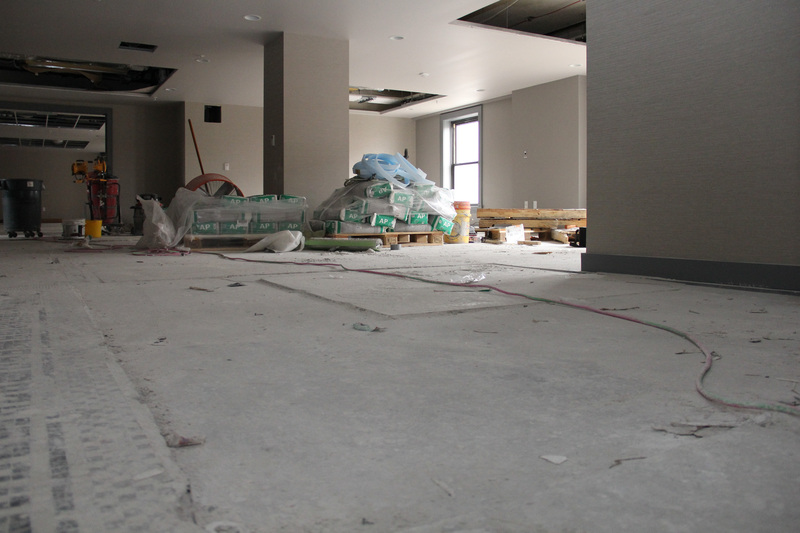 Installers overcame a very poor substrate and uneven floor levels among other challenges in completing the Hotel Northland project. The H.J. 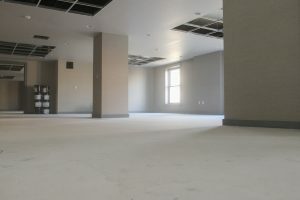 Martin and Son Commercial Flooring division successfully navigated the difficulties related to the building’s age and an uneven subfloor throughout the timeworn structure. 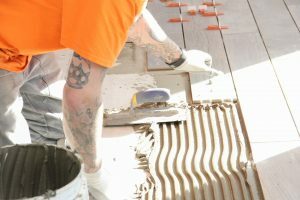 Multiple challenges were overcome in the course of the flooring and tile installations, many related to the subfloor conditions of the original building. Among these were a very poor substrate, uneven floor levels, a two-inch difference between one building and another, existing tile and carpet adhesive requiring removal, and areas needing fill to flush out with in-place tile. About 80 percent of the entire building required some type of self-leveling work before the flooring could be installed. SCHÖNOX products helped to meet these challenges. The 160 guest bedrooms were poured flat to receive glue-down carpet, and the 160 guest bathrooms were leveled to accept floor and wall tile. 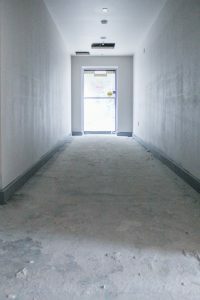 All corridors were troweled with SCHÖNOX AST, a synthetic gypsum-based smoothing and repair compound for interior substrates, to ramp off the thresholds. 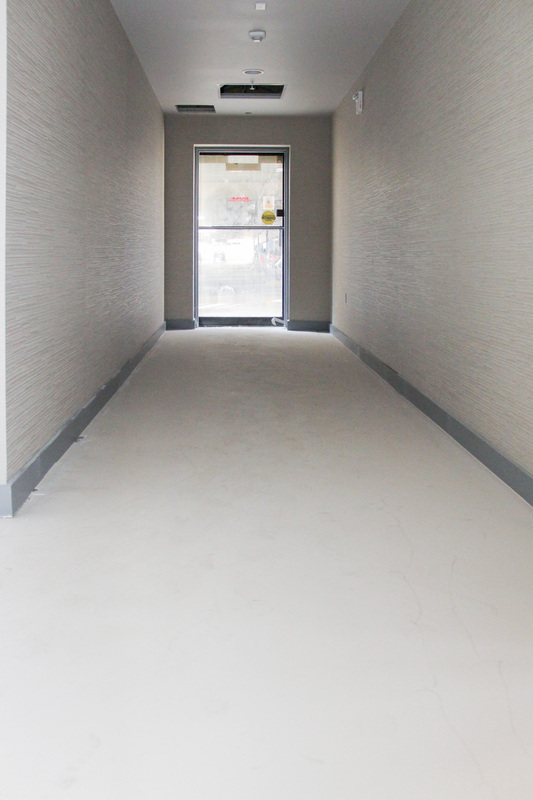 Common areas also had to be poured flat in order to receive carpet, tile, VCT and rubber flooring. Other SCHÖNOX products utilized by H.J. Martin and Son on the Hotel Northland project included AP, SHP, KF FIX and Foam Tape. Double-stick pad with glue-direct, custom broadloom carpet was installed in the guest rooms and nearby corridors. Broadloom similarly was utilized in all meeting rooms, other common spaces and office areas. 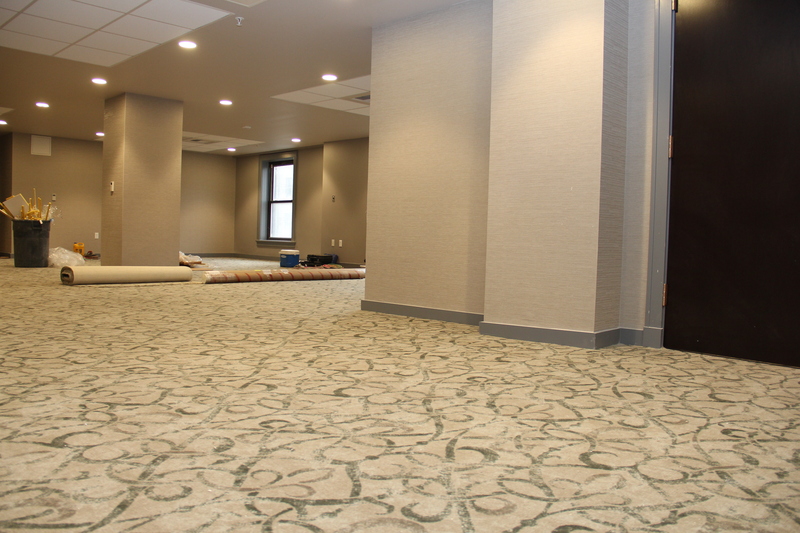 In all, roughly 11,000 square yards of carpet was installed on the project. Guest bathrooms saw tile installed on the floor, along with a five-foot wainscot on adjacent walls. Custom tile showers and tiling around tubs, with a waterproof membrane, also were part of this complex installation. In other areas of the hotel the tile installation included tile floors with five-foot wainscot within public restrooms, along with quarry tile with cove base in the kitchen and pantry areas. Approximately 61,000 square feet of tile was installed in total. 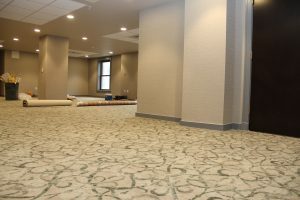 Basement storage areas had roughly 8,100 square feet of vinyl composition tile (VCT) installed, while the hotel gym utilized rubber flooring tiles to condense sound from the weightlifting equipment. The tile installation required a crew of 10-12 H.J. Martin and Son employees over a six-month period. Six company personnel installed the carpet and resilient flooring over a four-month span. The installation team prize in the contest is a Porsche Track Experience. The H.J. Martin and Son installers will get behind the wheel of a Porsche automobile at world-renowned Barber Motorsports Park in Birmingham, Ala. The company also receives $7,000 in SCHÖNOX dollars. SCHÖNOX has manufactured the highest quality primers and moisture-mitigation systems, repair products, floor-leveling compounds, adhesives and waterproofing materials since its founding in Germany more than 125 years ago.